In January of 2017, The Plano Art Association and the Historic Downtown Plano Association partnered to launch the Downtown Mural Project- a new project that is bringing the Downtown Plano Arts District its first set of murals. Made possible by a grant from the Plano Heritage Commission, the project is using visual art to celebrate Plano’s rich history, for which the Downtown Plano Arts District was recently formally recognized by the Texas Commission for the Arts. 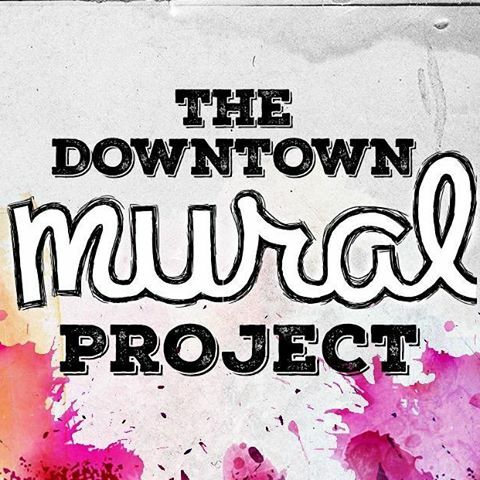 The Downtown Mural Project began at the beginning of this year with an open call to artists and a citywide campaign for citizens to submit their historic photos of Plano. The photos were used to inspire the murals’ design; the public was able to submit historic photos of Plano either online or by having their original photograph digitally transferred for free at the Genealogy Center in the Haggard Library. 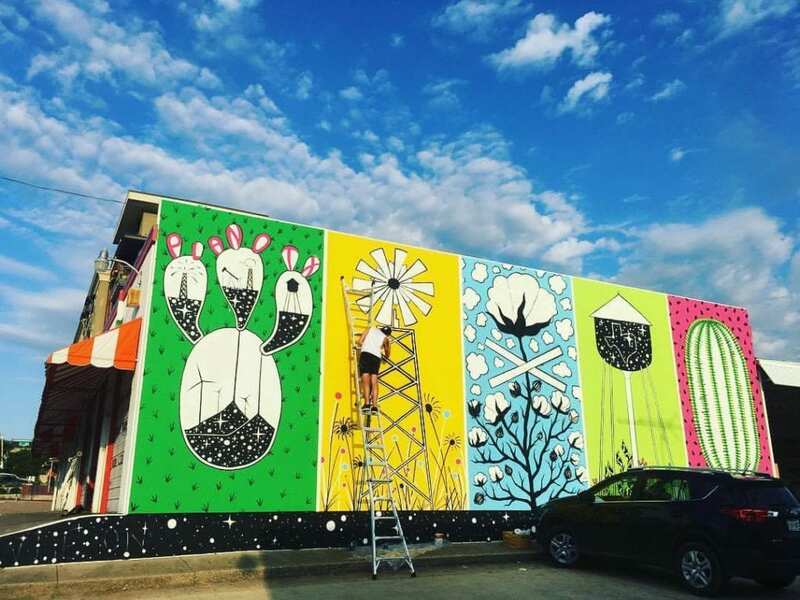 To assist in the artists open call and overall project management of the mural installations, Plano Art Association enlisted the help of Joshua King, Dallas-based artist and co-founder of Aurora. An advisory council was also formed to ensure the historical accuracy and relevance of the murals. The first of the three murals was completed in July 2017 and can be seen on the west-facing wall of Georgia’s Farmers’ Market. It was painted by local DFW artist Will Heron and incorporates historical elements inspired by Plano’s past. Each of the mural’s five columns is a different color and focuses on elements taken from historic photos of Plano, submitted by residents earlier this year. Artist Wes Hardin painted the second mural, located at Vickery Park by the DART station, in September 2017. 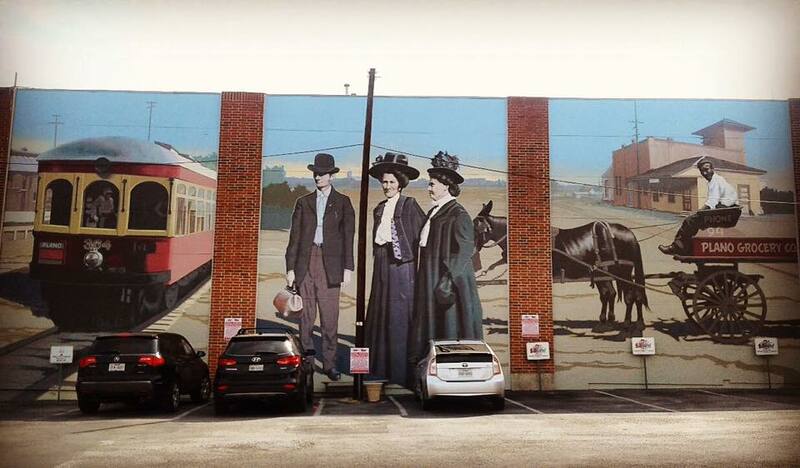 The mural displays a scene from historic Plano, with citizens strolling through a downtown bustling with merchants and commuter passengers. The famous Texas Electric Railway interurban railcar is featured, as well as the storefronts of Downtown Plano buildings. The whole scene is set in front of a colorful Texas sunset. Mural #2, painted by Wes Hardin. Check out the video below for an in-depth look at the making of the second mural. The third and final Downtown Plano mural was installed in December 2017. The piece is a 3-dimensional mural, located on the southwest corner of Avenue K and 15th St in the arts district. The mural has both visual and audio components, featuring four metal representations of sound waves between the letters P-L-A-N-O. Each sound wave has a corresponding recorded audio segment depicting a different historical event from Plano’s past. A plaque in front of the mural reads ECHOWAVE: Listen to the echos of Plano’s history. 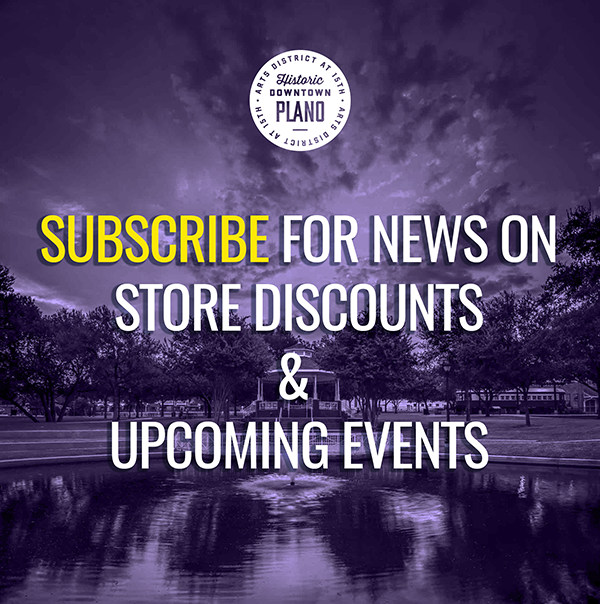 The four audio segments tell listeners about Plano’s name and origins, the founding of the fire department, business and commerce, and Plano’s railroad heritage. 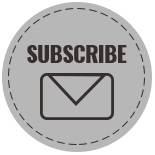 The audio segments are narrated by Mayor Harry LaRosiliere, Plano Fire Chief Sam Greif, Executive Director of the Plano Chamber of Commerce Jamee Jolly, and Robert Haynes, Curator of the Interurban Railway Museum. 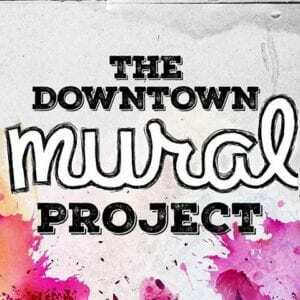 To visit the Downtown Mural Project website, click the button below.